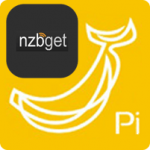 NZBGet has grown in popularity due its low memory footprint and considerable power. Previously NZBGet had to be built from source and each time a new version was released you had to rebuild NZBGet. Using this method to install NZBGet you will easily be able to update to newer versions without having to rebuild from source. This installation method works on Debian and Ubuntu systems on any CPU architecture (x64, x86 and ARM), I have included a working NZBGet systemd service to work with Debian 8 Jessie and Ubuntu Vivid Vervet and later distros that use systemd. If you are on Ubuntu 14.x you should use the init.d script from here instead of the systemd script. We are going to build the latest unrar from source adapted from these instructions. Download the latest stable NZBGet installer by copying and pasting all 3 lines. 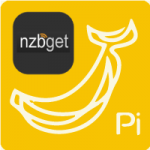 When NZBGet updates are released you can now upgrade from the NZBGet web interface. Now you can configure NZBGet and use some of its useful scripts like FakeDetector and FailureLink. You can also use NZBGet with SickRage, CouchPotato, Sonarr and Mylar.